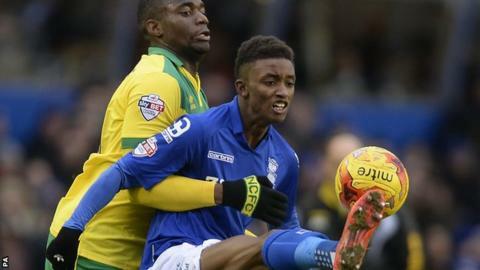 Birmingham City have rejected an improved £5m bid from Championship rivals AFC Bournemouth for teenage winger Demarai Gray. The Cherries had made four previous offers for the 18-year-old, who has scored four goals in 25 appearances for Blues this season. However Birmingham say the Academy product, who made his debut as a 17-year-old last season, is not for sale. Gray played the full 90 minutes in Saturday's goalless draw with Norwich. He has started the last 11 league matches and won the Football League Young Player Of The Month award for December. That win was part of a run of just two defeats in 15 matches that has propelled Gary Rowett's side from 23rd to 11th in the Championship. They are now 10 points outside the play-off places.